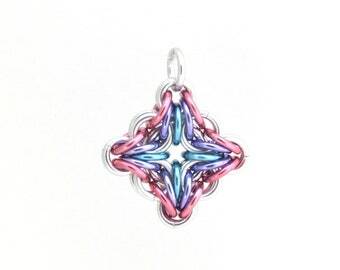 This listing is for a beautiful little pastel star pendant. 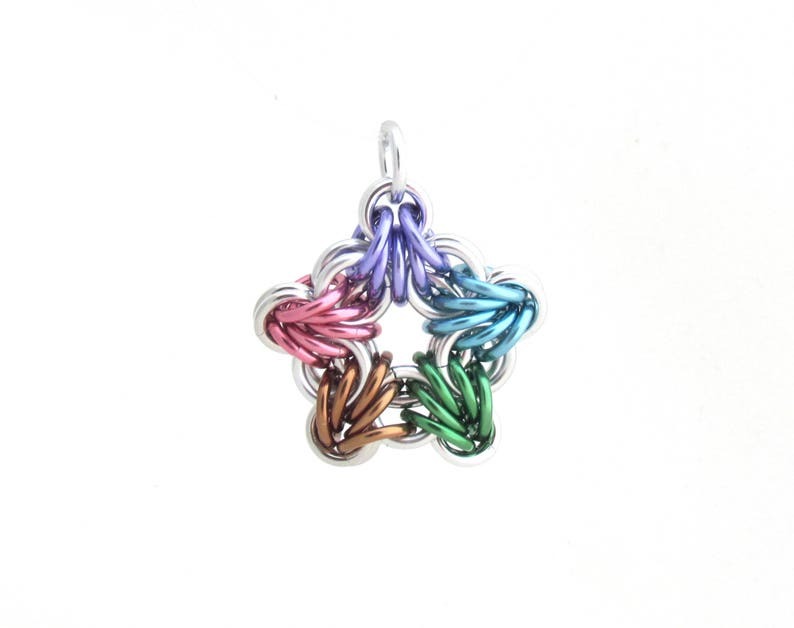 It features lovely colors of jump rings woven together into the shape of a star using a technique known as chain maille. Perfect for just about any outfit! 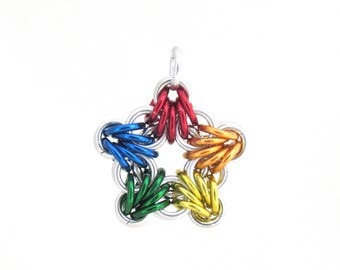 This multicolor pendant is made with bright aluminum jump rings, as well as anodized aluminum jump rings in dark rose, champagne gold, mint green, sky blue, and lavender purple. It is approximately 1 inch across and about 1 1/8 from top to bottom (including the ring used as a bail). It is very lightweight and pretty! If you have any questions, please feel free to contact me anytime!